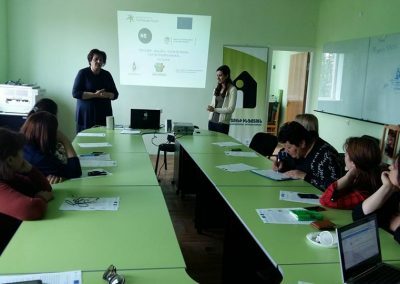 Aim: to introduce the culture of entrepreneurship among women in Armenia, Moldova and Belarus, by providing them with basic skills in business-thinking. Outputs: the recruitment and training of 10-15 women from each country through the organisation of an introductory workshop in each country to assess the participants’ expectations and business skills. 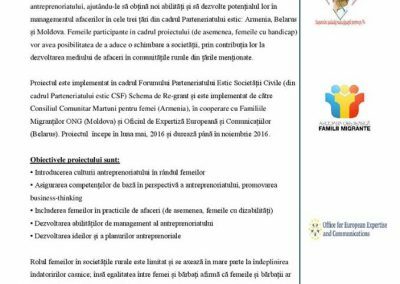 The participants will be invited to submit their entrepreneurial ideas, two of which will be selected to receive a small financial grant.